To start of today’s entry, I’m going to quote a great man and a great character – incidentally, both being physicists (though one is fictional). I suppose I could sit here and hypothesize whether the writers of the Big Bang Theory have a big white-board in their office with the Einstein quote scrawled across it as a reminder of how they should structure some of the humour behind Jim Parson’s character, Dr. Sheldon Lee Cooper (BS, MS, MA, PhD, ScD and… OMG). Why this is relevant to me and why you should read on to see if it might apply to you as well. Foregoing the adage that searching for a job, is a job in its own right, I have been at this for quite a few months now. During this time, I have been applying to all sorts of jobs, writing cover-letters and customizing resumes to fit the needs as outlined in job descriptions. The unfortunate reality is, as good as my résumé may be, it is simply just not good enough. At least, in terms of getting work in the field I want to work in – the field where I would be strongest and most valued in. I don’t like to toot my own horn, but I did receive a high GPA while attending Centennial College last year for Corporate Communications and Public Relations. By my own admission, most of those excellent grades were because of my highly technical approach and analytical mind, rather than my ability to think outside the box. Attending a résumé writing workshop this week taught me five critical things. That there is no one single right way to do a résumé and because of this, everyone who will ever advise you on how to write yours will give you different advice. That the purpose behind a résumé is often said to be to get you a job. This is actually false. It’s to get you an interview and even then, that’s not entirely true. It’s to get you considered for an interview. That format may/can/will break you. That when applying to X amount of postings and getting little-to-no responses, then maybe, just maybe, one should re-evaluate their approach sooner. That when getting the same results (or lack thereof), one should either go to a workshop or visit their local hospital and inquire about getting a padded room. Reverting back to the beginning of this post, I quoted Einstein and The Big Bang Theory. 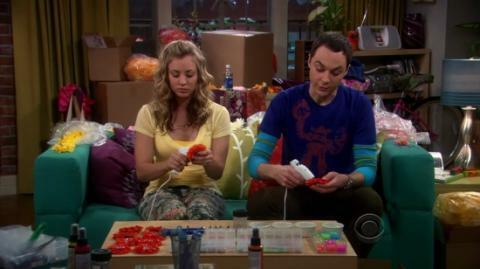 A trope used early in BBT was Schrödinger’s Kitten: the theory that one cannot be (reasonably) certain of an outcome until it is revealed. While Einstein was not a supporter of Quantum Theory, he did inadvertently contribute to the field with an equally famous line “God doesn’t play dice.” The possible irony here is that it is possible that ‘God’ doesn’t play dice, but it’s definitely a crapshoot when it comes to man’s ability to predict the outcome of ‘God’s’ designs. How does this apply to résumé? Simple – A job seeker can never know if their résumé will result in a job interview (let alone a job) because they cannot reasonably predict what the hiring manager prefers to see in a résumé. A job description can only tell you what abilities are being sought and not the format in which they should be presented. And when it comes to format (presentation), it’s a real toss-up as to how your information wants to be received. Advice I was given the other day was to save as .doc (Word 97-04) and not as a .docx file. This came advice caught me off guard as it is now 2013 and it’s been over six years since the .docx format was introduced to the public by Microsoft. Further to that point, my love for .pdf’s has also been diminished as it cannot be assumed that the recipient will be able to open a .pdf, let alone be willing to do so – never mind the fact that Adobe first introduce the Portable Document Format 20 years ago. I must admit, my personal opinion here is that any hiring manager that does not have the capability (or willingness) to open a .docx or PDF, should not be left in charge of hiring. Points I would more readily present to support this opinion involve the reality that not being up-to-date with the latest technologies, is generally frowned upon in prospective employees (double standard); different versions of word will display files differently (no adaptability); and the former two points combined may contribute to a really high possibility of truly great potential employees being skipped over (all diamonds are rough). However, that is equally plausible by the over-reliance on Applicant Tracking Systems (ATS) – a “technology” I have come to dislike because of a lack of standardization between all the different ATS’s out there and tendency for them to absolutely mangle the heck out of résumés formatted for human eyes. Even worse than that has been receiving automatic responses from companies that use Applicant Tracking Systems, only to get an email saying “Dear Applicant.” This should be considered insulting to prospective employees as the time and care was not put into choosing an ATS that could pull someone’s name from an application and insert it into an email. So, when it comes to applying for a job, it’s not difficult to see how ideas behind quantum theory can be applied. Hiring Managers don’t play dice. They let machines do that for you… and the dice are loaded. * PAR = Problem, Action and Result – the typically and widely-accepted way of describing accomplishments at a previous employer. This entry was posted in Best Practices, Critical Thought, Event Management, Public Relations, Tech skills, Technology, Writing and tagged .docx, applicant tracking, applicant tracking systems, ccpr, employees, hiring manager, hiring practices, interviews, job application, job search, job skills, portable document format, prospective employee, prospective employer, public relations, quantum theory, resume, resume format. Bookmark the permalink.